That will get rid of my split ends. A: I’m thinking about getting a haircut this weekend. What do you think? B: Yeah, you’ve had that long hair since college. You need a change for once. How much are you planning to cut off? A: About 2 inches. That will get rid of my split ends. B: What! That’s not even a haircut. It’s only a trim! A: Believe it or not, that’s a haircut to me. A: 나 이번주말에 머리 자르려고 하는데, 어떻게 생각해? B: 너 대학교 때부터 계속 긴 머리 했잖아. 한번 정도는 변화를 주는 것도 좋을 것 같아. B: 뭐? 그게 무슨 머리 자르는 거니? 그냥 다듬는거지! A: 믿거나 말거나지만, 나한테는 머리 자르는 거라구! I’m thinking about getting a haircut this weekend. 난 이번 주말에 머리를 자를 까 생각 중이에요. - think about something은 ‘(~무엇 무엇) 에 대해 생각하다’는 뜻입니다. ‘about’이 전치사이기 때문에 뒤에는 명사형이 나와야 합니다. 본문에서는 동사 ‘get’뒤에 ‘~ing’가 붙어 ‘getting’이 나왔죠. 예를 들어 ‘나는 올 해 한국을 방문할 까 생각 중입니다.’를 영어로 하면 ‘I’m thinking about visiting Korea this year’하실 수 있습니다. 또 ‘난 올해 대학원을 지원할까 중입니다.’ 영어로 하면, ‘I’m thinking about applying for graduate school this year.’ 하실 수 있습니다. 두 문장 모두 전치사 about 뒤에 동사의~ing 형이 나왔다는 것 꼭 기억해 두세요. 또 ‘(~무엇 무엇)에 대해 생각하다’를 영어로 나타낼 때, 전치사 ‘about’대신에 ‘of’를 쓰실 수도 있는데요, 그래서 I’m thinking about getting a haircut this weekend는, ‘I’m thinking of getting a haircut this weekend’해도 같은 뜻입니다. 그럼 I’m thinking of doing something, 이 문장 구문을 이용한 예문을 조금 더 알아보겠습니다. - 저는 파마를 할 까 생각 중입니다. I’m thinking of (about) getting my hair permed. - 저는 머리를 짧게 자를 까 생각 중입니다. I’m thinking of getting a short hair cut. - 저는 머리를 조금 다듬을 까 생각 중입니다. I’m thinking of getting (having) my hair trimmed. - 저는 머리를 금발 색[검정색/ 어두운 갈색/ 밝은 갈색/ 빨간색]으로 염색할 까 생각 중입니다. - I need to get a haircut. - How often do you get a haircut? - Why don’t you get a haircut? - A men’s haircut costs about $15. 남자 헤어 컷은 15불 정도 합니다. - A women’s haircut costs about $35. 여자 헤어 컷은 35불 정도 합니다. * ‘I need to cut my hair’도 ‘나 머리 잘라야 해’ 라는 뜻이지만, 이 표현은 내가 직접 가위를 가지고 내 머리를 자른다는 의미입니다. 그래서 미용실에서 머리 잘라야 한다고 말할 때는, ‘I need to get a haircut’이라고 말해야 된다는 것도 꼭 기억해두세요. You’ve had that long hair since college. 너 대학교 이래로 계속 긴 머리 했었잖아. - 이 문장에서 ‘You’ve had’ 는’You have had’ 의 줄임 표현입니다. 또 Have had 에서 ‘had’ 는 ‘have’ 의 과거 분사 입니다. 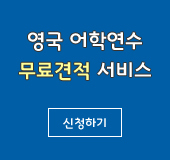 그래서 이 구문은 Have + 과거분사, 즉 ‘현재 완료’ 구문이죠. 현재 완료, 여러 번 설명 해 드린 적 있었는데요, 경험, 결과, 계속 등의 의미가 있다고 했습니다. 여기서는 ‘계속’의 의미로 쓰였습니다. 또, ‘since’, 는 (~무엇 무엇) 이래로’ 라는 뜻이죠. 자 그럼, 이 문장 구문을 이용한 예문을 알아볼까요? 예를 들어 나는 초등학교 때부터 계속 미국에서 살았어요. 영어로 하면, ‘I’ve lived in the States since elementary school.’ 입니다. 계속 미국에서 살았다, ‘언제부터 쭉 ~(무엇 무엇을) 했다’는 것을 나타낼 때는 ‘현재 완료’를 쓰실 수 있다고 설명해 드렸죠? 그래서 Have + ‘살다’ 는 뜻의 동사 ‘live’의 과거 분사, ‘lived’를 쓰셔서, ‘I have lived’ 어디에서? ‘미국에서죠’ in the States, ‘언제부터?’ 초등학교 때부터, 그래서 ‘since elementary school’ 하실 수 있습니다. Since에는 또 ‘~ 이기 때문에’ 라는 뜻도 있습니다. 예를 들어 ‘Since you are the oldest child, you have the responsibility to take care of your family.’네가 맏아들 (또는 맏딸) 이기 때문에 가정을 돌볼 책임이 있다.’는 뜻입니다. 이렇게 since에는 ~이래로, ~이기 때문에 라는 뜻이 있다는 것도 꼭 기억해 두세요. Ex) For once, let’s pack our own lunch for work. We always go out and eat. It’s not that delicious plus, it’s so expensive. 우리 한번 만이라도 도시락을 싸와서 먹어요. 항상 나가서 사먹으니까 맛도 별로 없고, 돈도 많이 나가는것 같아요. How much are you planning to cut off? 머리 얼마나 자르실 건가요? - How much는 ‘얼마나 많이’라는 뜻인데요, 셀 수 없는 것을 나타낼 때 쓸 수 있습니다. 언 뜻 생각하기에 hair 머리카락은 하나, 둘, 셋 이렇게 셀 수 있지 않나? 라고 생각하실 수 도 있는데요, hair 은 셀 수 없는 명사 입니다. 그래서 머리 얼마 정도 자르려고 생각 중이나요? 할 때 머리 자르는 양을 숫자로 세기가 곤란 하잖아요? 그러니까, How much 를 써서, ‘How much are you planning to cut off?’ 하실 수 있다는 것 꼭 기억해 두세요. Ex) I need to get rid of my old clothes. 전 오래된 옷을 처분해야 합니다. I need to get rid of my habit of being lazy. 전 게으른 습관을 없애야 합니다. I need to get rid of my habit of procrastinating. 저는 자꾸 일을 미루는 습관을 고쳐야 합니다. I need to get rid of my habit of procrastinating. 난 이것 저것 어지르는 습관을 없애야 해요. - Can you cut my hair up to my shoulders? 머리 어깨 바로 위에 까지 잘라 주세요. - (위에) 라는 뜻의 전치사죠, Above, A B O V E를 쓰셔서요, Can you cut my hair just above my shoulders? 하시면 됩니다. - Can you cut my hair to just below my shoulders? 내 딸은 양 갈래로 땋은 머리를 하고 있습니다. - My daughter is wearing her hair in pigtails. - I want to get a bob style haircut. 전 머리 층을 내고 싶어요, 머리 레이어 해주세요. - I want to get my hair layered. Have a bad hair day, 무슨 뜻일까요? If you are having a bad hair day, things are not going the way you’d like or had planned. So it means that you are having a bad day in general. Have a bad hair day, 는 하루 종일 일이 잘 안풀리다, 일진 이 안좋다는 뜻입니다. 왜 아침에 머리 모양이 마음에 안들면, 하루 종일 맘이 안편한데요, 그래서 그런지 have a bad hair day, 하면 하루 종일 일이 안풀리다, 계획대로 일이 진행되지 않다, 일진이 안좋다는 뜻입니다. 아침에는 회사에 늦고, 전화기는 찾아도 없고, 갑자기 컴퓨터는 멈춰서 작동도 안되고, 오늘 하루 일진 정말 안좋다! 영어로는 I was late for work, and I can’t find my cell phone, and even my computer froze! Oh, boy! I’m having such a bad hair day! 할 수 있죠! 일진이 안좋다, 일이 하루 종일 안풀리다, Have a bad hair day 꼭 기억해두세요!